We are always interested in seeing new businesses on our street. 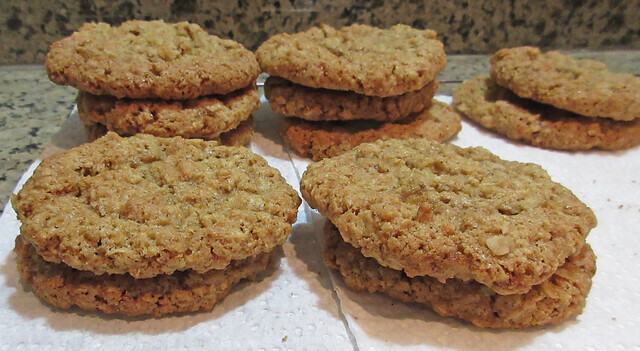 I'm always hoping for a bakery so that I don't have to walk ten minutes for fresh sweets. We have been watching this shop get ready for an opening since we arrived. 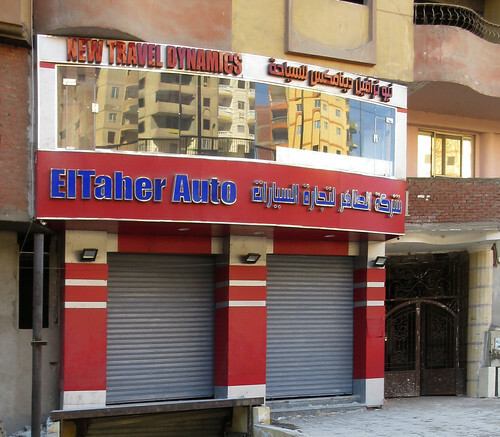 I was confused, thinking there might be two businesses, a car dealer downstairs and a travel agency upstairs. But it appears that this is sort of a hybrid. New Travel Dynamics is the name of the company. There was a grand opening on Friday evening with lights and food. We were busy and didn't go. Yesterday, when passing by, I noticed this fine American car sitting out front along with a couple of Mercedes. 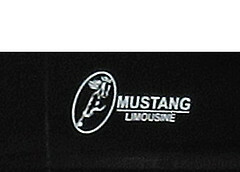 It looks a lot like a Chrysler 300 but the logo on the side says Mustang Limousine, so that must be what it is. I did check the car out just in case we want to rent one for a few days. These folks are in the tourist-car rental business at the moment with expectations of being a full travel agency at some point in the future. 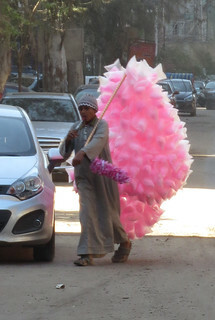 Sugar is a vital commodity in the Egyptian way of life. 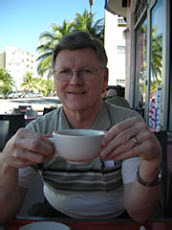 It is the principal ingredient in tea, for example - the tea is just in there for color. 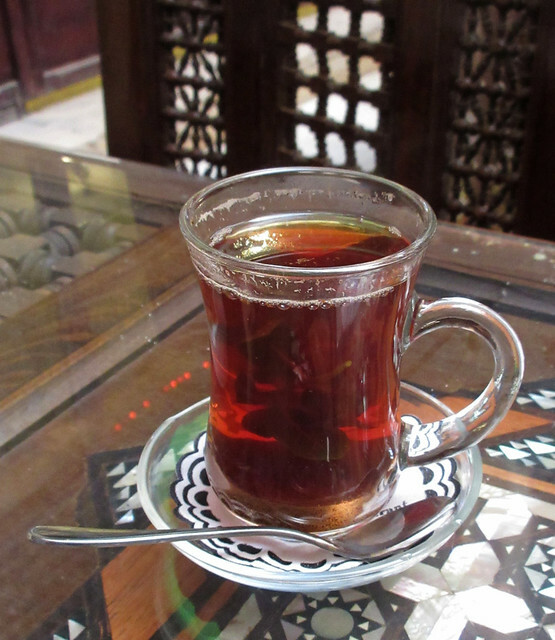 And, without tea all commerce in Egypt would cease - probably most conversation would stop as well. 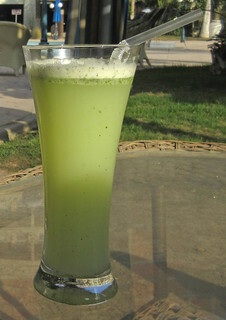 Sugar is a big part of "lamoon" and it is even spun into ghazal al banat and sold on the street. 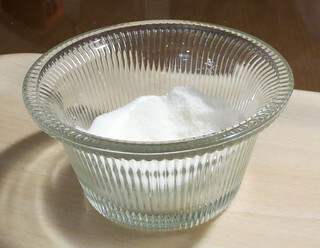 When we arrived in January, our sugar bowl was almost empty. 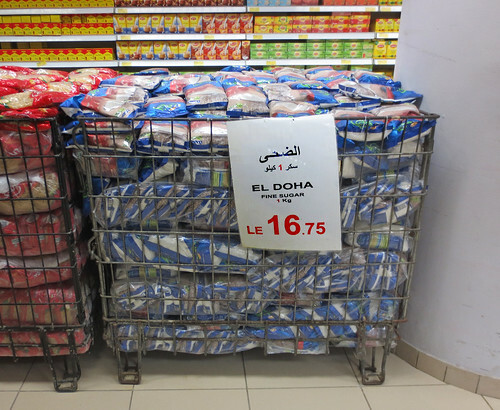 We checked the stores: Ragab Brothers, Metro, Spinneys, even Carrefour - there was no sugar to be found anywhere. Linda is the cookie ambassador. While we are here each winter, she supplies cookies to friends, neighbors - even to the papyrus and perfume salesmen down the street. Without sugar, many people are going to be disappointed. When we talked to anyone about sugar, they immediately offered us as much sugar as we needed. Everyone had plenty. It just wasn't available in the store. I should mention that the "government stores" described in that NYT article allocate one kilogram (2.2 pounds) per person per month at a very generously subsidized price. So for a family with four children, pretty typical here, your allocation would be 13 pounds. Rich or poor - everyone is eligible. About two weeks ago sugar, quietly and without fanfare, reappeared on the shelves at Spinney's Supermarket. It is back everywhere now. And no one is buying. Who needs more sugar? For an economics paper on scarcity and hoarding, follow this link. 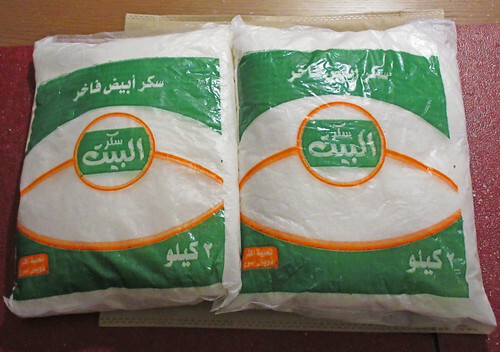 If you are just interested in "conspiracy theories," ask any Egyptian about the sugar shortage. Five people will give you at least six explanations. I see that temperatures are soaring to unseasonably warm levels back home. 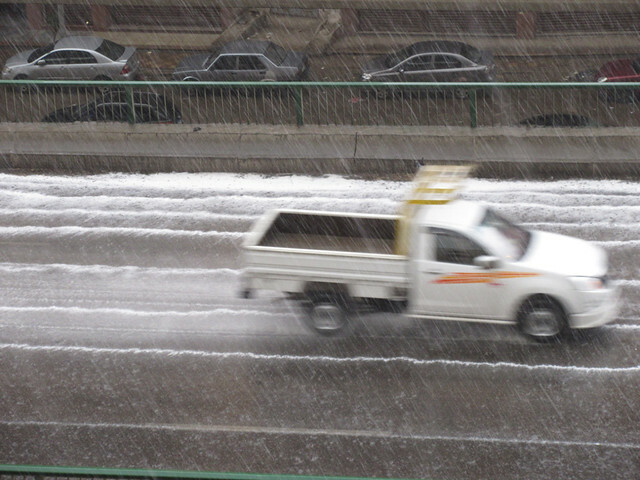 Meanwhile, the Egyptian winter has arrived in full force. We have had a few overnight lows in the 40s here but no precipitation. That changed yesterday when we heard something clattering out on the front balcony. It was hailing. There was enough of it to actually pile up along the Ring Road. Traffic soon backed up on the far side. 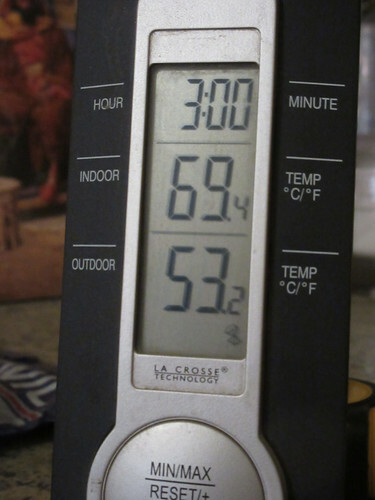 It only lasted a few minutes, but the temperature dropped to 53. An hour later, the sun was out and our winter was over. 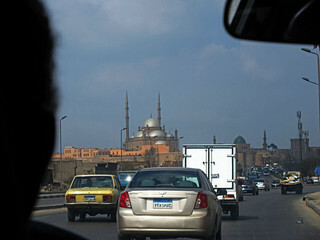 We don't have a car in Cairo, and while I am frequently tempted to look into buying one, my good sense reminds me that I don't really have the skills necessary to drive here. The informal rules of the road are quite complex. When you meet oncoming traffic coming the wrong way toward you, do you move right or left? What if two vehicles are coming toward you in the wrong direction? Watch this short YouTube video I made a few years ago to see how it works. Even experienced drivers have problems on occasion. 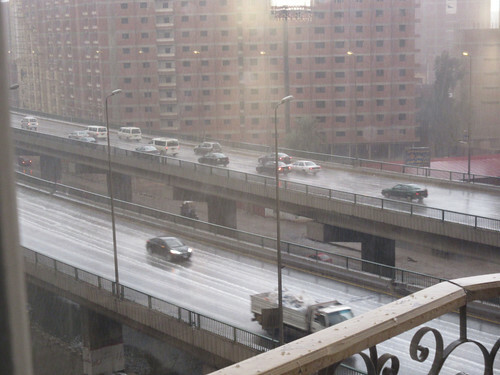 I took this picture from our apartment window last week after hearing the screech of tires and crunch of metal. You can type the word accident into the search bar at the top of the blog to see results from previous years. 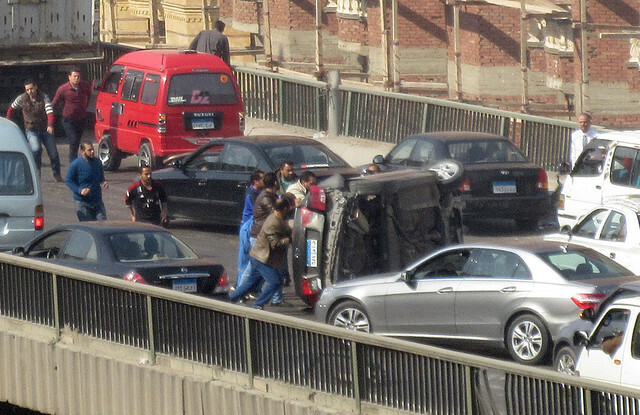 Egyptian drivers are very efficient at pulling the passengers out of overturned cars and getting the vehicles back upright and off the road. We rely on taxis to get around. They are abundant and economical. 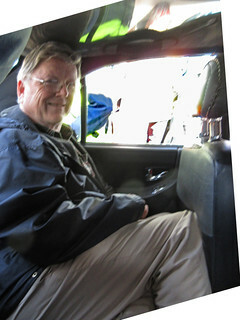 For most trips nearby, we pay 20 pounds (Just over a dollar) and the drivers are always very happy with that. 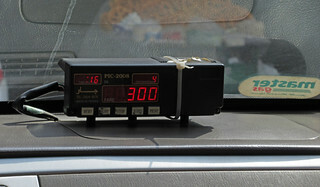 The "flag drop" rate on the meter is just 3 pounds - about 17 cents - and is good for the first mile and a half. But taxi meter fares have almost always been regarded as a "suggested starting point" here - especially when the passenger is obviously not a "local." There was a brief period of time a few years ago when the government tried to get the old taxis off the streets and enforce new meter rates. 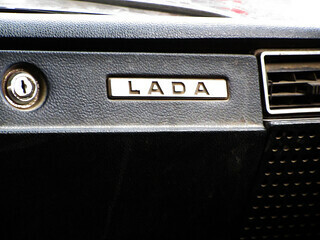 In theory, there are no more of the old Russian Ladas cruising the streets. But, we did find one last week. Even the newer taxis are small. my head usually reaches the roof and there is no way I can straighten out my thighs, much less my legs. 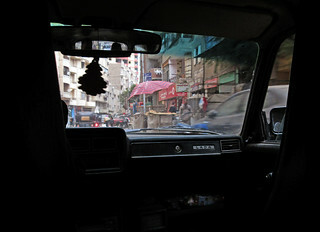 We took a taxi downtown a couple of days ago for the 15 mile ride to the Kahn el-Khalili to do some shopping with the tourists. It was a thirty-five minute ride going for which we paid 4 dollars and it was an hour coming back in the evening rush hour and I paid $6. A taxi to or from the airport will cost about $10. 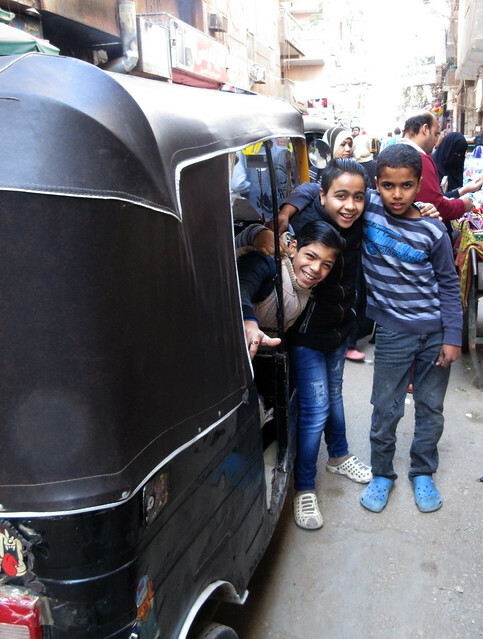 Another option for getting around (and a big hazard on the streets) are the Tuk-tuks operated only on low-traffic neighborhood streets. With these, you can get your groceries home from the store in comfort for about a quarter. The drivers can by quite young. Which one of these three do you think was driving? You might recall that we checked out the real estate market in our area last year. I summarized the results in a chart in this blog post. A highlight was the apartment in this brightly colored building being developed by our new friend, Ishmael. 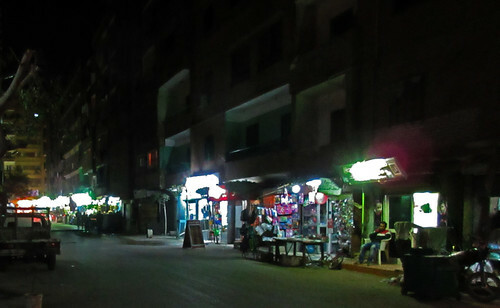 With the major devaluation of the Egyptian Pound, we were curious what the U.S. Dollar could now buy. We stopped by to visit Ishmael while out on a walk. 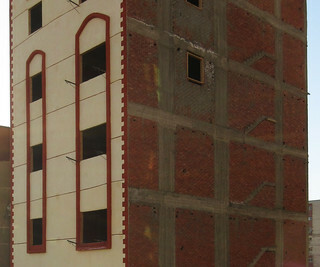 It turns out that Ishmael's son-in-law has purchased some land in the block across the street and has put up a building. I inquired about the size and price of the apartments. They are 3 bedrooms with one bath, about 1200 square feet. Built with privacy in mind, there is only one apartment on each floor. 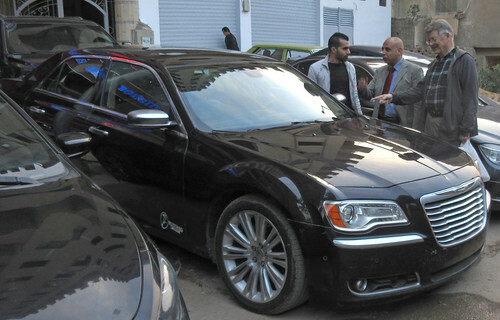 They are available for 200,000 EGP which translates to about $11,000. That is unfinished, of course. Finishing and furniture will set you back another 5 or 6 thousand dollars. This is obviously the time to buy. With seven already sold, there are only five left. 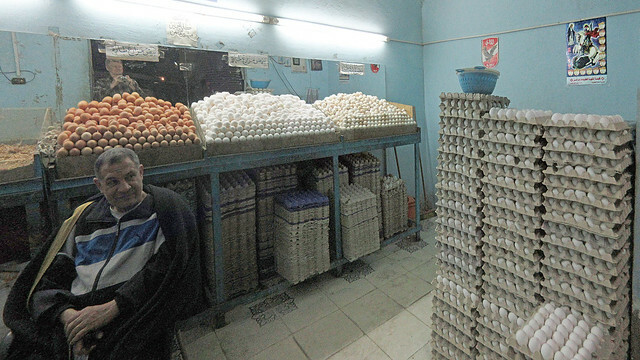 We were driving down a street near the pyramids last night when we noticed a brightly lit egg store and I stopped in to take a couple of pictures. Despite appearances, this is not a wholesale operation. 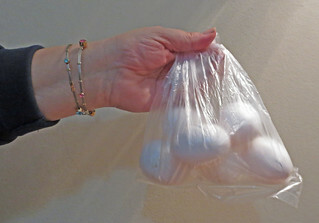 It is common to see someone carrying a couple flats of eggs home for a few days meals. 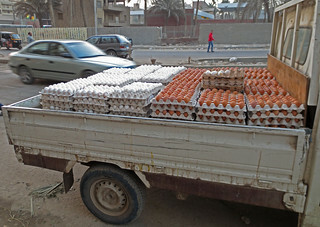 Egyptians eat a lot of eggs and they have large families. 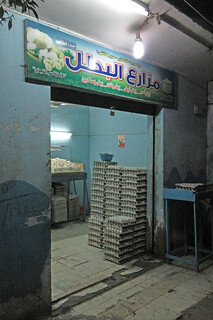 Eggs here are transported by truck to the small shops in every neighborhood where you can buy as many or as few as you need. We usually buy by the carton of ten (What's a dozen?) and this year have been using the large "red" eggs. 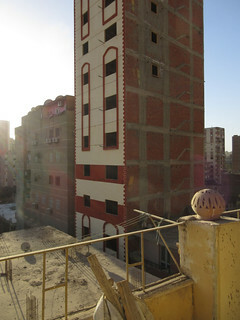 Somehow, the Cairo Condo seems to need a lot of maintenance. We encountered a fair number of problems upon arrival this year. A light switch jammed in the off position - followed by a second and a third! The Internet problem was simple to solve. Do you remember that big wad of wire that I had leftover from our telephone installation? I never did fasten it securely. Apparently the wind blew it loose from its position wedged into our balcony railing and it was dangling a few feet below. I pulled it up,wedged it back into place and re-twisted the wire connections. Problem solved. The satellite dish appeared to have drifted off-target. This took a bit longer to fix since it requires two people with working local cellphones - one to aim it while out on the balcony with the wrench and another for the "watcher" in the living room with the TV. I should have brought my satellite strength meter with me. Of course, I have one - doesn't everyone? The plumbing was going to need professional help. We put in a request for a plumber. Like most things, plumbing is done differently in Egypt. Our plumber was a daytime plumber who "moonlights" small jobs in the evening. He showed up around 8 p.m. and diagnosed the problem under the sink as failed plaster. Let me explain that. 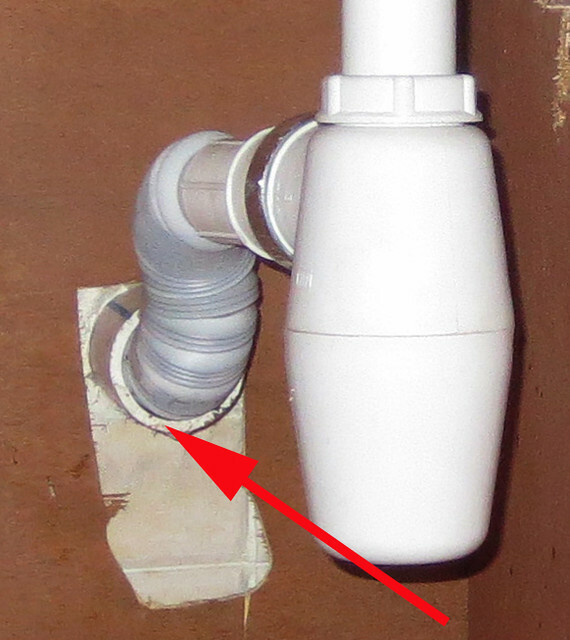 Connections from the fixtures to the building plumbing pipes are made by inserting a flexible plastic pipe into the wall pipe and filling any gap with plaster or cement. I sort of like 3M or Dap caulk for this job myself, but the local plumbers insist that it doesn't hold up. Well, we had one of each type leaking. Like all tradesmen in Cairo, our plumber brought his tools in a cloth bag. It is important to know this because he is going to set it and his tools someplace, like on your dining room table, as soon as he arrives. After examining the problem, he announced a need for some "white cement" and some "gypsum". You didn't expect that he would bring the necessary materials to fix a leak did you? 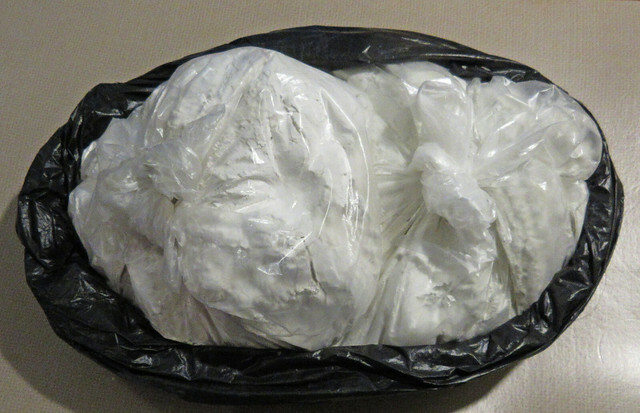 While we had tea with the plumber, a friend headed out to the local hardware store and came back with a kilogram of white cement and a kilogram of gypsum. A mixture of these would be used to re-caulk the joints. In case you were wondering, the gypsum is used to accelerate the setting of the cement. This allows the joint to dry in minutes instead of several hours. It was only a short time before he had the old caulking cleaned out and new caulking in place. It is holding up very well so far. And, I have almost a full kilo of cement and of gypsum left for the next time a plumber is needed, which we anticipate with some certainty in the future. We will take up the light switches in a separate post. We pulled in at the local government owned Co-Op station to fill up a friend's gas tank the other day and I got out to take a picture of the price at the pump. 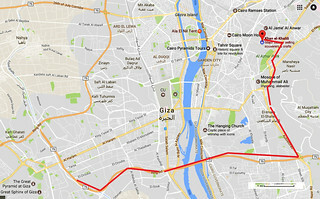 I did a rough calculation - 92 Egyptian pounds to fill the tank. - each of those 100 pound notes in my pocket is worth about $5. What??? Where are we? Wonderland? I soon discovered that the high price of gas has driven my friend over the edge and into the Dark Side. He has downgraded his purchases from 92 octane to 85 - the people's choice - the fuel of the Russian Lada and other low performance vehicles. But modern cars apparently adapt fine to this mixture. 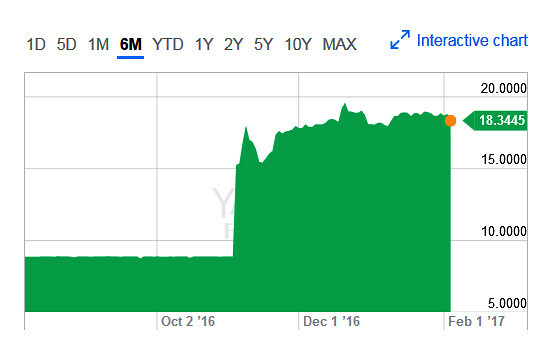 Of course, this price increase is more than offset to an American by the decrease in value of the Egyptian Pound which has slipped precipitously against the dollar since it was allowed to "float" last November. 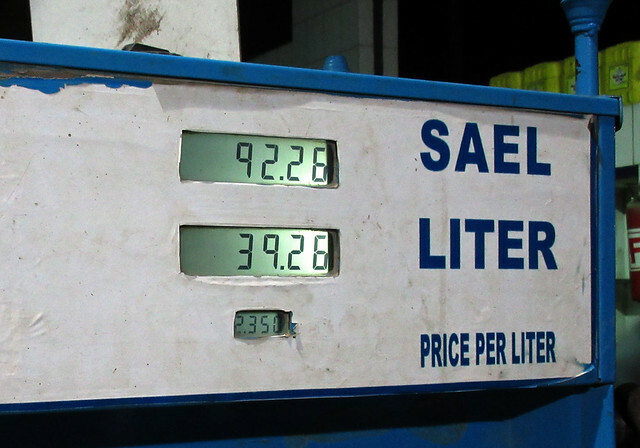 Here are the prices for 92 octane "Regular Unleaded" over the past few years in both local and U.S. currency. Pity the Italians who are paying ten times as much, about $7 per gallon. "Heck e ya - heck e ya!" 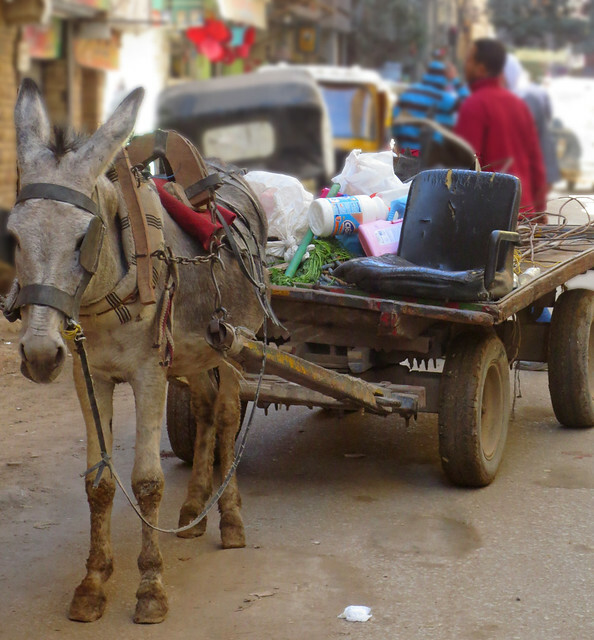 That's what I was sure it was the first time I heard the shout coming from a man on a donkey cart driving down a street in downtown Cairo. It's actually "Beckya, beckya!' and the word is short for Robabekya, which means junk trader. The robabekya roams the streets here looking for the junk you might be willing to sell to him. 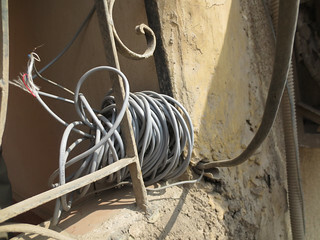 Scrap wire, scrap pipe - those are very favored items. But an old 8-track tape player or a dented metal pitcher - he'd be glad to take that off your hands too. Here we passed a robabekya who is off the cart no doubt negotiating for a good item. But notice that he has salvaged an excellent seat for his cart. We have even seen full armchairs converted into a driver's seat. Notice the small pile of green alfalfa on the front of the cart. That is fuel for the donkey. All the carts here have a pile of greens on board to power the trip home. Whatever happened to the junk man back in the States? I can recall them passing down the street in front of our house back in the 1950s. That wasn't all that long ago was it? There is a good article in the Independent about a day in the life of a robabekya at this link.